And thus “The Dare” was born, whereupon Comic vowed that he would solo the Pit (with hireling) on normal with a level 5 character. Now to be fair, he’s since done that… but not without deaths and/or re-entries. See, when it comes to the Pit, you do not poke fun at me. My ex tried that – “Oh honey, you could never solo the Pit.” What did I do? Smiled, nodded, waited until he went to bed and then soloed the Pit. So when Comic scoffed at Acanthia’s solo run on casual, I knew what had to be done. I smiled, nodded, waited until my new ranger Chartreusia reached level 5, and then – armed with resist and cure pots plus a few wands for backup, a FvS hireling who liked to blow all her mana casting Soundburst whilst tending to forget that she could heal, a pair of sweet scimis (Rusted Shamshir and +1 Seeker of Backstabbing) and a +1 Seeker Composite Longbow of Shattermantle – I soloed the Pit. With all optionals (and STILL NO DAMN MUCK’S DOOM!). On NORMAL. With NO deaths. With NO re-entries. At LEVEL FIVE. And just to prove it, I got two screenshots showing all the relevant quest info from the experience report. You can see them here and here. Mara: … why is the Eastern Aqueduct Pillar in the WEST? Me: Because it was built by hirelings. 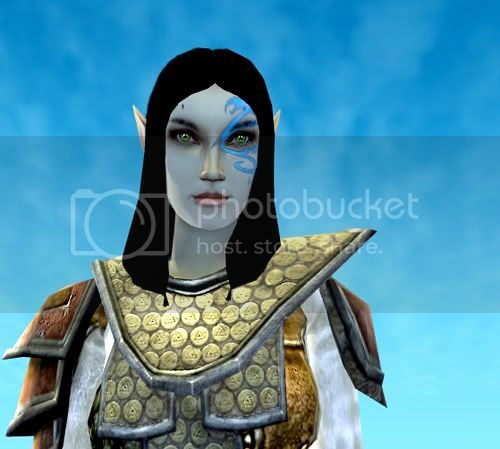 That’s the kind of silly thing that comes up a lot when I’m chatting with DDO friends. We seem to get into this comfortable groove of finding things that are weird or stupid or annoying and just having fun with them. That groove is possibly the thing I like best about DDO. During that same conversation, I happened to glance at the calendar and realized it was exactly one year ago today when my then-boyfriend, having decided that I performed well enough in Wizard 101 to move on to something bigger, got me to sign up for DDO. Yep, it’s my one-year anniversary and Victaurya’s first birthday; according to her log (which I now can’t access at all for some reason though I could get to it in a roundabout way from my main page last night), she completed the quest “Shipwreck Shore” at 8:30 pm on December 8, 2010. Well, the boyfriend is thankfully long gone; he’s probably off playing Rift or Skyrim and telling his current squeeze(s) how crazy I am, since that’s what he told me about all his other exes, and making up lame excuses for not spending time with them. 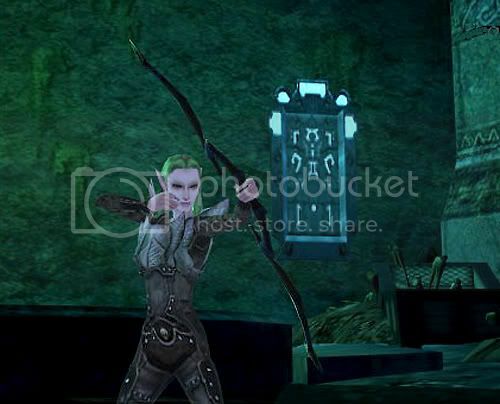 I’m sure he didn’t expect me to find my niche on DDO, but I can’t blame him for that – I never expected it either. I figured I’d get on a few times a week, run a quest or two until I got bored, and then go back to Second Life. Second what? I’ve been back there ONCE since February, and that was only to attend an online memorial service for a friend of mine there. DDO snuck up on me and before I knew it, I was hooked. Who wants to spend a few hours shopping for virtual clothes that everybody else will have too when you could be killing kobolds, trampling trogs, mashing minotaurs and ouching orcs? 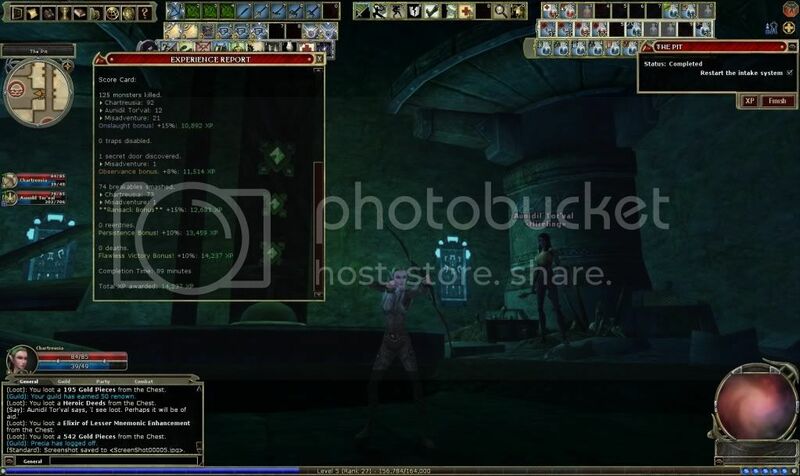 I never dreamed I’d still be playing DDO a year later, let alone that I’d end up going VIP and have 19 characters spread across – however many servers there are, except Wayfinder, and I’ll probably get there as well. I have three elves, two humans, six Drow, one dwarf, four halflings, one half-elf, one half-orc and one Warforged. Class-wise, I’ve got one rogue, one paladin, two bards, one cleric, one fighter/barb, three wizards, two rangers, two barbarians, one fighter/rogue (who will someday be a fighter/rogue/pally), three monks, one fighter and one Favored Soul/monk. One of them (poor Caehlie, who does not update properly on MyDDO) is lvl 1, six are lvl 2, three are lvl 4, one is lvl 4 but has enough XP for lvl 5, two are lvl 5, one is lvl 6, one is lvl 10, one is lvl 13 and three are lvl 20. I’ve done one greater reincarnation and two lessers; no true reincarnates yet, but believe me, that’s coming. Last night when I could still get to more than the first page of my log, I went through and looked up the birthdays of all my toons. Even was born on December 10, followed by Dissy on the 26th and Jall on the 28th. Four toons in my first month ingame – that should have told me right there that this would be more than a casual hobby. So happy birthday, Victaurya! I’m gonna go have a peanut butter cookie to celebrate.